Penang-based property player Aspen Vision Development Sdn Bhd (Aspen Group) is targeting to have its shares floated — either on the Main Market of Bursa Malaysia or the Catalist board of the Singapore Exchange (SGX) — by the fourth quarter of this year, according to Aspen Group co-founder and chief executive officer Datuk M Murly (pictured). “Basically, for the SGX, we are in advanced negotiations with the regulators over there. But at the same time we are also going to apply for a listing in Malaysia. We are not seeking a dual listing, it’s more of an either-or situation, and as we are a Malaysian company our preference would be to list on our local bourse, Bursa Malaysia,” he told reporters after the official opening of Aspen House, the group’s new corporate headquarters today. He shared that the group’s advisers are targeting to submit its application for listing to the Securities Commission after Chinese New Year. On why the group is choosing to list in the current weak economic condition, Murly said the group is taking a long-term view with its decision. “Listing is about the future, how we want to position ourselves within the next five to six years. We have already established ourselves since our incorporation three years (ago), and I believe it is quite a feat for a three-year-old company to have achieved close to RM1 billion in sales. “The property market, like any other sector, is not exempted from tough market conditions with the credit problem being the biggest issue. But we believe if we continue to build homes that people can afford and price it right, it will be relevant to the market. It all boils down to strategy and the type of product,” he said. The group achieved total sales of RM900 million for its financial year ended Dec 31, 2015 (FY15), and has unbilled sales of RM1.3 billion, which will continue to keep it occupied for the next three years. Since its incorporation, the group has secured approximately 265 acres of land spread across the northern and central regions of Malaysia, with an estimated gross development value (GDV) of RM10 billion. The group’s biggest project to date is Aspen Vision City, a 245-acre freehold mixed use development in Bandar Cassia, Batu Kawan. The project will be developed by Aspen Vision Land Sdn Bhd, which is owned by Aspen Group and Ikano Pte Ltd, the operator of Swedish furniture store IKEA in Singapore, Thailand and Malaysia. 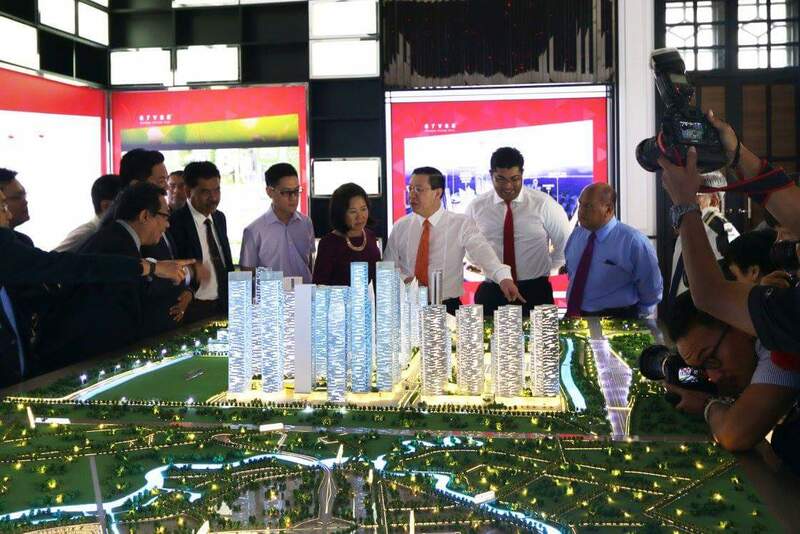 The project carries a total GDV of RM8 billion comprising a central transport hub, an international school, condominiums and suites, hotels, medical centre and healthcare facilities, shop offices, apartments, a central island park, office towers, a shopping mall, and commercial and retail spaces. Vertu Resort, the first residential development in Aspen Vision City and touted to be the first resort-inspired high-rise in mainland Penang, carries a GDV of RM620 million. Aspen Group will preview Vertu Resort from Jan 20 to Jan 31 this year. The development is slated for completion in 2019.